Good morning! So the doughnut adventure has begun. I know for most of you this won't really help you out, but I was given this fun kitchen gadget by my mother-in-law from her stash, so I am going to play with it. 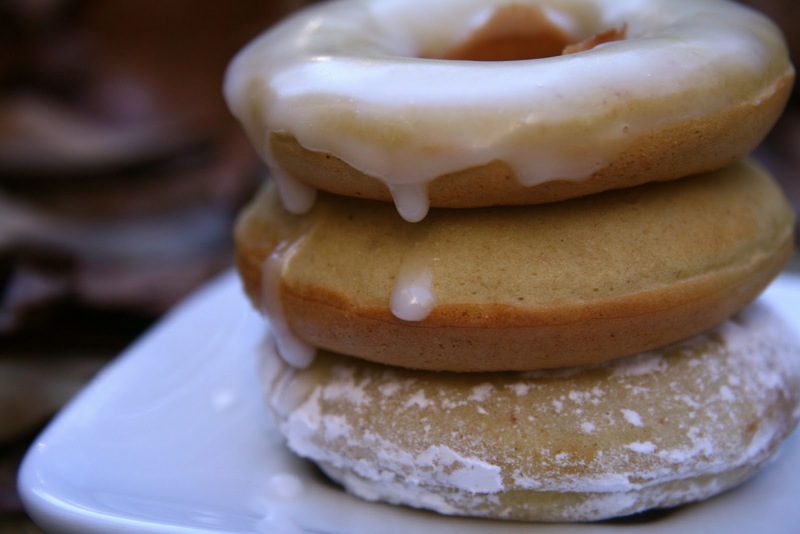 Have you ever heard of a doughnut maker? 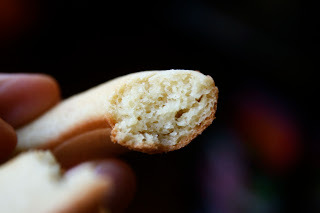 Well this sucker makes baked mini doughnuts (you can find some here, but they don't make this one anymore). We have been joking around about this machine ever since I plugged it in the first time to clean it...we refer to it as the "corn baller". Extra points for anyone who knows that reference...hint...it is a tv show that is sadly no longer on. It is a super hot cast iron piece of equipment. Now, I was given the machine with no booklet so I started to play with gluten free flours. I was given quinoa flour by my good friend, Nayoung (along with other fun flours I can't wait to play with) so I thought I would put it to use today. I have always been a fan of cake doughnuts. You know, the kind that is not too sweet with a subtle nutmeg flavor. That's the one I wanted. These are just what I was looking for, but I will definitely continue to play with them...you know in the name of science. All for you guys though..I will take one for the team. The boys are heading back to school today after a long break so this is the perfect way to start the day for them. Combine the dry ingredients together, then add the wet and mix well. Cook according to your manufacturers instructions. 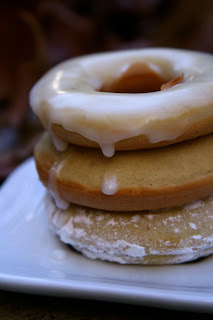 Glaze with a mixture of powdered sugar and a little water to make a thick glaze. I don't really love doughnuts, but these look so delicious. I think I need a doughnut maker! Those look super yummy!! 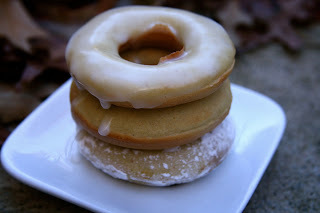 My hubby looooves glazed donuts, perhaps I "need" a donut maker to at least give him baked instead of fried, lol. Girl I haven't had a doughnut since I stopped working at the bakery I worked at when I was 18 and 19 years old! Jason would be all over those though ;-) I swear you need to open up a gluten-free bakery. I bought myself a mini and a normal donut pan recently, and still have not used it... part busy, part being out of town, and part because I think I'm afraid?? I love cake donuts, and those look fabulous! What fun! 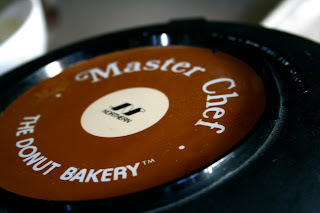 I did not even know there was such a thing as a donut maker, I think my dh would love for me to get a new kitchen gadget! I love doughnuts. It's funny because growing up I HATED them, but now I really enjoy them. It's the glaze. Waw, making your own donuts! I love these on sight alone...but I'm afraid to make them because I'm quite sure I'll overindulge and will never be able to stop! So...it's a good thing I don't have a donut maker, because I'd be all over this recipe like nutmeg in a cake donut! You inspire me to try more gluten free and non-dairy stuff in the kitchen...it's a journey (usually messy for me!). 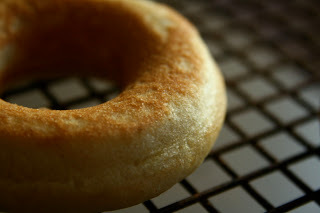 Doughnuts are the thing I miss most from my gluten days! You are so creative with your recipes. I can't wait to try these out! Pardon me while I wipe the drool off my face! YUM! Aw man, I wish I had a donut maker now!!! These look delicious! Holy moly - what a great idea!! Were they messy to make? Time to make the doughnuts! I picture you in that commercial heehee! I think I made a terrible mistake. YAY for doughnuts!!! They look amazing...can we come over for breakfast?? Wow those look good!! And gluten free? You should sell those babies! I've never been a big doughnut person-but i would prob have to make an exception for these GF bad boys! I love that little contraption! Those look like professional doughnuts!